After receiving support from TechnoServe, a crafts business in southern India is creating meaningful economic opportunities for disabled people in the community. 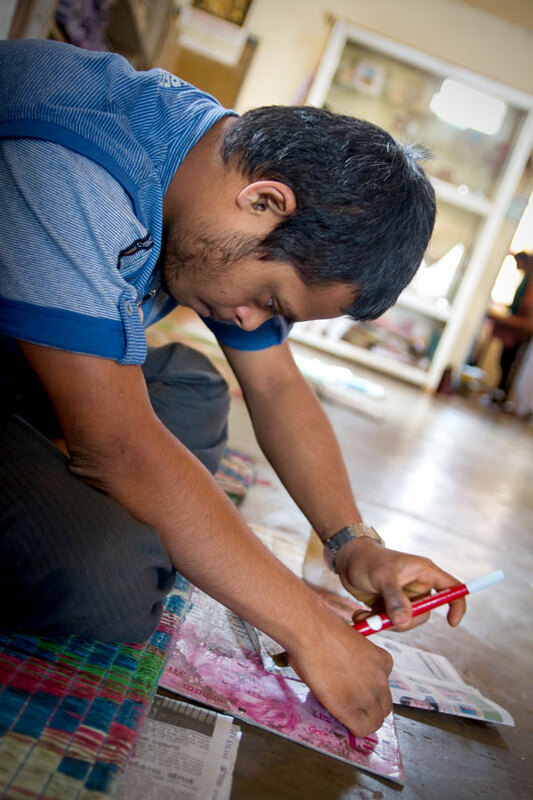 In a bright workshop in southern India, Kiran, a 23-year-old with Down syndrome, methodically folds and glues paper to create a packet that his employer, Chetana, will sell to a local buyer. Clinical psychologist Mala Giridhar started Chetana in order to give people like Kiran an opportunity to earn an income, practice a skill and gain a sense of independence. Soon after launching Chetana in 2009, Mala entered a TechnoServe business plan competition that aimed to support promising social enterprises. She received training on business fundamentals and was selected as one of five winners to receive seed capital to put her business plan into action.